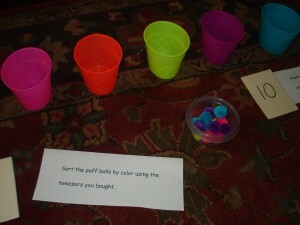 My Obstacle Course Station Activity: Sort the puffs into the same colored cup using a tweezers. 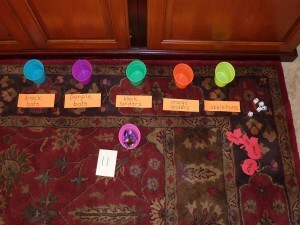 Colorful containers match colored puffs for station activity of sorting by color. Containers used to hold materials and also provide a place to sort into. 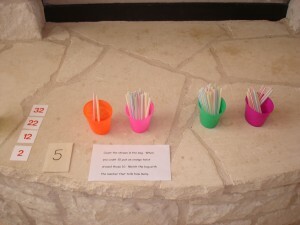 My Obstacle Course Station Activity: How many straws? Containers hold straws for number/place value station. 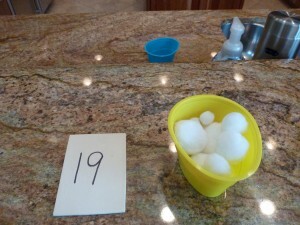 My Obstacle Course Station Activity: Blow the puffs off of the counter into the cup. Container perfect for holding puffs for "puff blowing" station.